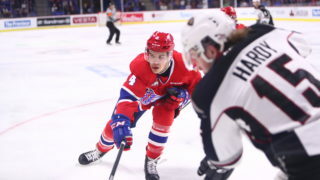 SPOKANE, Wash. — The Spokane Chiefs completed their six-game sweep of the WHL’s East Division on Tuesday night at Spokane Arena as they took down the Swift Current Broncos, 4-2. Czech defenseman Filip Kral scored two goals to earn first star honors. 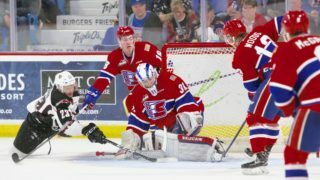 Spokane native Kailer Yamamoto opened up the scoring for the Chiefs just 31 seconds into play when Jeff Faith fired a shot that deflected into the high slot. Yamamoto found the loose puck and put it home to make it it 1-0. Swift Current’s Giorgio Estephan took advantage of a power play opportunity at 16:39, firing a shot from the top of the circle to beat Spokane netminder Dawson Weatherill, playing in his first game since January 6. Not a minute later, Kral regained the lead for Spokane, patrolling the blue line before finding net past a screened Stuart Skinner to make it 2-1. Artyom Minulin made a strong play to the net at 4:31 of the second to bring things even for Swift Current at 2-2. 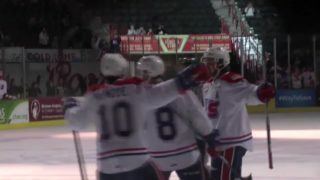 Just minutes after a Luke Gallagher goal was waived off for Spokane, Ethan McIndoe forced his way to the front of the net, getting just enough of his stick on a Jaret Anderson-Dolan centering feedto put the Chiefs back on top, 3-2. The goal was his 14th of the season as the third-year forward now has multiple points in three-straight games and four of his last five. Kral added an insurance goal at 13:10 of the third, shooting past the screened goaltender for a nearly identical play as his first. Weatherill stood tall down the stretch, fending off several power play chances for Swift Current and turning away all 15 of their shot attempts in the game’s final period. Swift Current outshot Spokane on the night, 30-25. Spokane went 0-for-5 on the power play and 4-for-5 on the penatly kill. 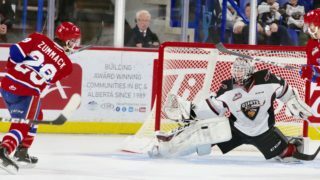 The Chiefs held Swift Current forward Aleksi Heponiemi without a point, snapping the star forward’s 28-game point streak. 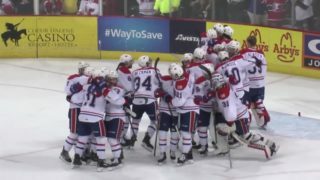 Spokane finishes the season with a perfect 6-0-0-0 record against East Division opponents. 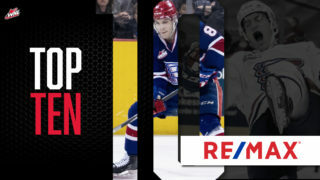 The Chiefs hit the road tonight for an extended road trip before returning home Sunday, February 11 when they take on the Everett Silvertips. It will be Special Olympics Night and the Chiefs will recognize local athletes from Special Olympics Washington pre-game and during intermissions.